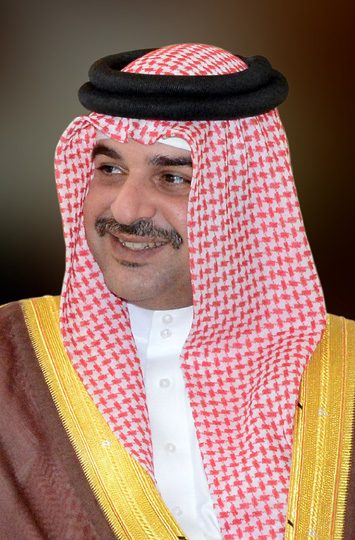 The establishment of the Supreme Council for Environment in the Kingdom of Bahrain came as a true reflection of the enlightened vision of H.M. King Hamad bin Isa Al Khalifa, King of Bahrain, and His Majesty’s recognition of the importance of environmental protection nationally, regionally and globally. This is addressed in Bahrain’s Economic Vision 2030 which hails the environment as one of the most important constituents of sustainable development that we are endeavoring to achieve. The achievement of the Kingdom’s development goals demands that we all coordinate our efforts at the national level to overcome present and future challenges which affect our natural habitat and human environment. Our community partnership to conserve the environment has become a fundamental national action requirement in our stride for continued development in all environmental arenas in the Kingdom. While we endeavor to protect the Kingdom’s environment, we emphasize that the environment is an inheritance and not an outcome of development. This propels us to expend all effort in collaboration and coordination with all State ministries and institutions to formulate a joint action plan to conserve, protect and develop the environment. It also drives us to provide radical solutions for environmental problems and developmental challenges to Bahrain’s economic and social system. Our paramount aspiration is the provision of a safe and sustainable environment in the Kingdom of Bahrain, not only for ourselves, but also for our future generations by safeguarding their right to bask in this safe and sustainable environment, with the good living standards which we all seek to enjoy. To achieve all this, we are determined to benefit from all regional and international experiences, and particularly those of our brethren in the Gulf Cooperation Council, assured that this regional and international coordination will significantly contribute to the protection and development of our environment and environmental resources. All of us at the Supreme Council for Environment work as a team to promote a sustainable environment which ensures the quality of life for everyone, protect, conserve and the natural habitat and environmental resources, encourage the use of environmentally friendly technologies, consolidate community partnership, and disseminate environmental culture and awareness of the necessary conservation of our environment in Bahrain.